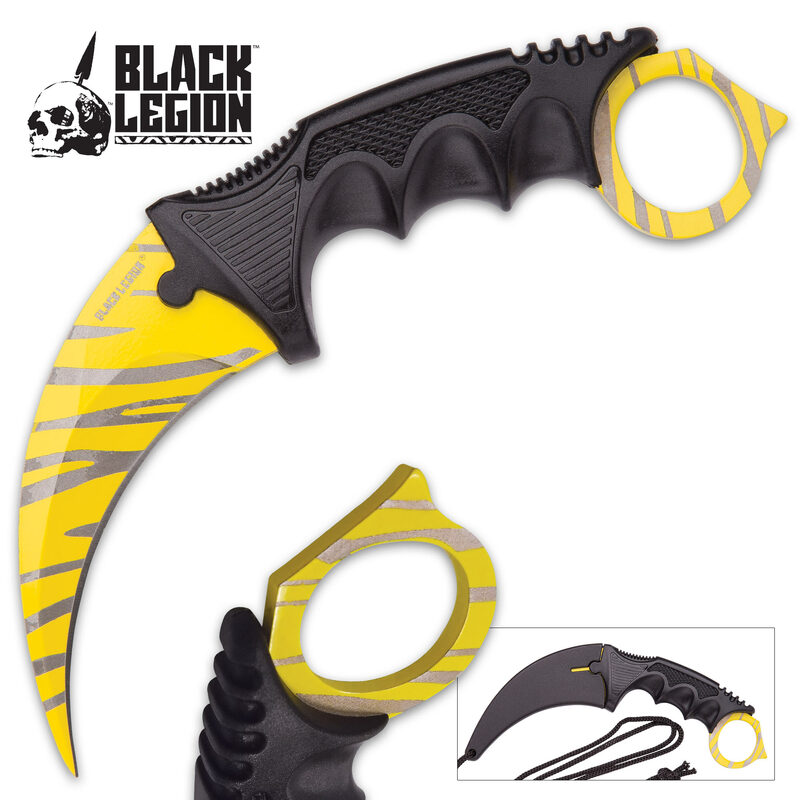 The striking tiger stripe design on a background of bright yellow is what gives this new Black Legion karambit an eye-catching look. 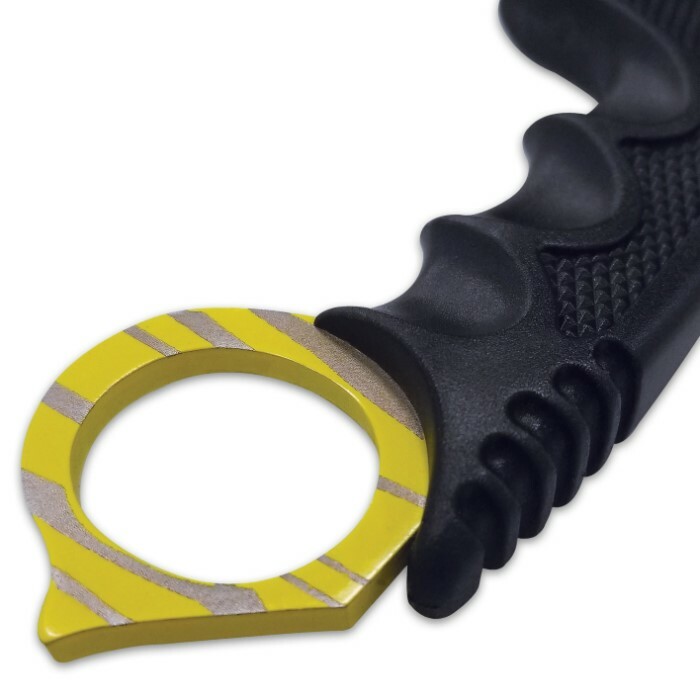 The 3 1/2” yellow coated stainless steel blade features the detailed laser-etching that will draw second looks from your friends. The textured handle ensures that you have a secure grip and the included sheath is of heavy duty plastic. A lanyard is also included. 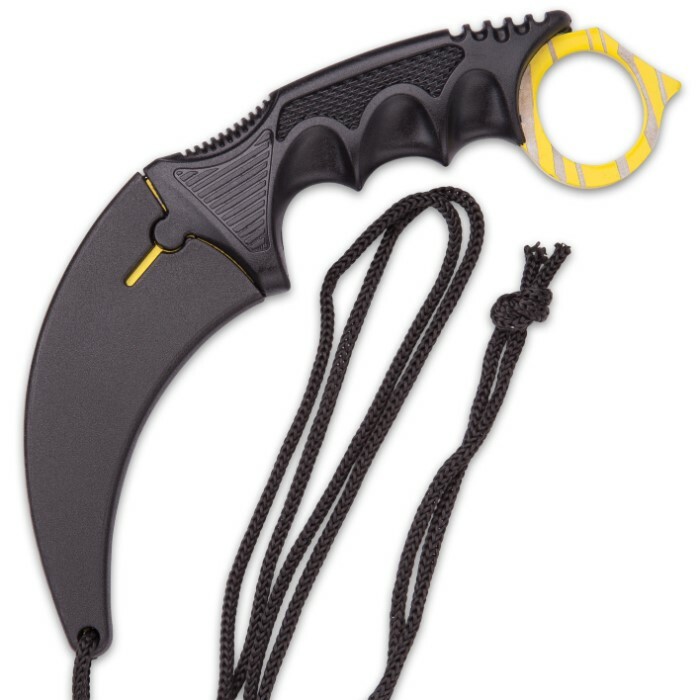 The karambit is 7 1/2” in overall length.